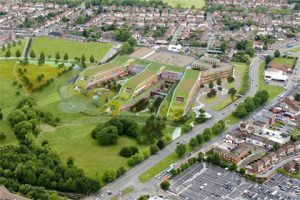 Stakeholder Design is proud to announce that the partners it was supporting in the £237 million bid to rebuild Alder Hey Children’s Hospital have been formally chosen for the work. Stakeholder Design created and facilitated stakeholder engagement sessions with children and parents, stretching and enhancing their aspirations for future healthcare and championing their views within the Acorn consortium. The consortia comprised John Laing, Laing O’Rourke and Interserve, supported by BDP (architects) as well as numerous medical consultants, engineers, finance specialists and logistical planners. A bespoke process was created to take account of different age groups, health needs and the time pressures that naturally exist in one of Europe’s biggest and busiest children’s hospitals. As a specialist hospital, Alder Hey provides 275,000 episodes of care to children and young people every year. It has an international reputation as a Centre of Excellence for children with cancer, heart, spinal and brain disease. However, this outstanding care is currently being provided in buildings which are almost 100 years old and are not fit for providing modern day services. As an Investing in Children hospital, Alder Hey was keen to ensure that children were fully involved in developing the plans. Speaking on behalf of Acorn, John Laing’s Director of Healthcare Projects, Peter Ward, said: “We’re delighted to be working with Alder Hey to develop the new hospital, giving the Trust’s staff and patients a hospital that matches the quality of their care. The new hospital will have a floor area of 60,000m2 and will have 270 beds, including 48 critical care beds for patients in ICU, HDU and Burns. There will be six standard wards with 32 beds. Each ward will have two four bed bays and 24 single rooms on each ward. That means the majority of children will have their own room with en-suite facilities. The new development will also include a multi-storey car park with 1200 spaces, 200 more than the current site.